Anne is a nurse, entrepreneur, business women, mentor, company director, governance consultant, and campaigner for the rights of women and children in the world. Anne developed her passion for helping people while a nurse before becoming an entrepreneur in the world. Anne is renown as a change agent - a natural evolution of her diverse career. She is passionate about leading and guiding organisations to embrace change by empowering people to make a difference. Ensuring governance models are 'fit for purpose'. Improving the dynamics between board directors and executive management. How boards work more effectively and 'add value'. 35 years’ experience as a board director and chair of government, not-for-profit and private sector boards. Developing the leadership potential of children, young people and women. Founding The Teleran Group, a highly successful leadership development business for women in Australia and internationally. 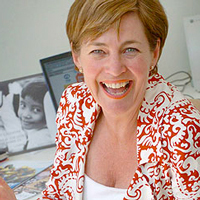 Anne sold the business in 2001 to pursue a non-executive director career. Chairing the International Year of the Family in South Australia. Recognition as a Member of the Order of Australia in 2000 for community service. It is this unique and diverse combination of skills and experience that underpins Anne’s national and international profile as a board director, chair, speaker, governance consultant, facilitator and mentor.